The JPJ Group has stated a growth within its Vera&John division is the driving reason behind their year-on-year increase of 8% in overall revenue as of the end of the third quarter. This is despite of a fall in revenue in their Jackpotjoy division. 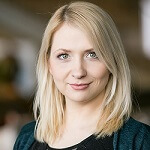 Gaming revenue peaked at £77.8 million in the three months leading up to the end of September for the online bingo operator, up from £71.8 million from last year. The growth is in contrast to the revenue that Jackpotjoy has lost, which has dropped 3% year-on-year from £53.5 million to £52.1 million. The operator has explained the decline is due to its Mandalay brands, and the closure of some high-value accounts in response to responsible gambling initiatives. 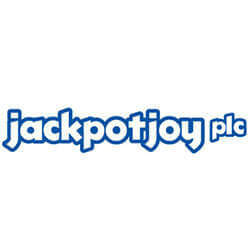 Neil Goulden, chief executive of the JPJ Group, has stated that he expects these issues will only affect the revenue stream for Jackpotjoy in the short-term. In a statement, Goulden explained that they expect Jackpotjoy to return to normal revenue growth, provided that there are no more regulatory changes in the future. During the third quarter, JPJ agreed on a deal to sell its social gaming division to south Korean studio Bagelcode for £18 million, which the company hopes will allow them to turn their attention on real-money gaming ventures. They also plan to bring more operational functions to their in-house, away from Gamesys, the company they use for outsourcing, and where they acquired Jackpotjoy among a number of other brands, and hope to internalise their future operations.